ANH President Mauricio de la Mora was practically exuberant at a ceremony in the ANH’s offices on Wednesday. And why not? Canacol (TSX:CNE) and ConocoPhillips (NYSE:COP) were signing the agency’s first additional unconventional contract and victory had been snatched from the jaws of defeat. A mixed system for block auctions which includes a greater frequency of two a year and more flexibility in their rules is being drawn up the National Hydrocarbons Agency (ANH). Its board of directors is reviewing the plan. 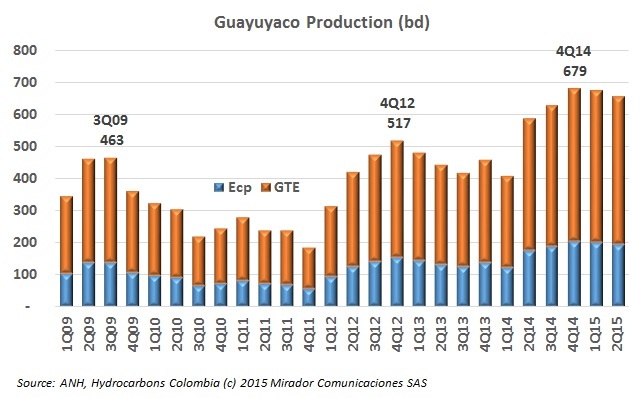 The Colombian State Council found that the firm Gran Tierra Energy Colombia (TSX: GTE) has failed to meet the terms of a contract with Ecopetrol (NYSE:EC) and therefore owes the state oil firm CoP$6.2B (US$2M). The National Hydrocarbons Agency (ANH) is preparing another set of regulatory changes, Agreement 05, which builds on past adjustments designed to make the sector more flexible in the new price scenario. This implements the change to directly assign blocks and could also include even more benefits for offshore contracts. Are block auctions still effective? The fall in oil prices has taken the magic out of public auctions of E&P blocks, and their effectiveness has fallen in different producing countries. Mexico recently finished the second phase of their Round One with some improvements, but not the stellar results authorities hoped for. 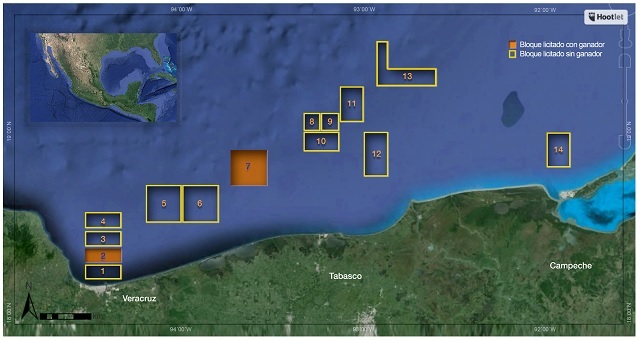 The president of the National Hydrocarbons Agency (ANH) Mauricio de la Mora now says that the entity is planning a ‘mini-round’ where it will offer three blocks in December of this year, an abrupt shift from recent comments he made on how the entity will promote investment. The National Hydrocarbons Agency (ANH) president Mauricio de la Mora said that the agency is preparing another series of measures that will help improve the conditions for the industry to remain competitive, with a focus on how it will assign new blocks. Colombian authorities should be paying close attention to not just the results of the first Mexico Round, but how the rest of the process plays out. It clearly demonstrates that contract conditions and geology weigh just as heavily as state take when deciding whether to bid or not, says a business publication. What comes next for Mexico’s Rounds? With a lackluster result in Mexico’s Round One, the focus now turns to the next four rounds as observers comment on how the first results can be interpreted and impact the rest of the process. Bad week for Mexican President Enrique Peña Nieto: a top crime boss escapes from prison in spectacular fashion and the much vaunted Round 1 (shallow water) auction was a spectacular failure. We publish the results and make commentaries on what this means for Mexico, Colombia and the region.